The engaged and supportive community of our alumni and friends — the Husky family — makes an indelible impact on the University of Washington every day. Through your generosity, you touch thousands of lives in our communities. From scholarship support, to life-changing research, the University of Washington would not be the same without your gifts of time, energy, passion and financial support. 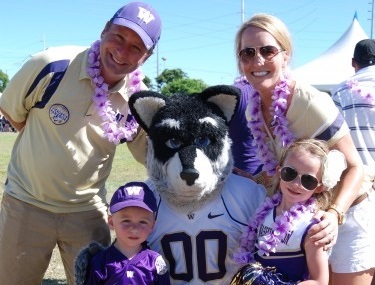 Join a community that enthusiastically supports higher education and loves the UW — join the UW Alumni Association! Keep up to date on upcoming reunions! Cheer on the Huskies with the Tyee Club!